Dolly has been out of the water for twenty five years and some restoration was started but not completed. 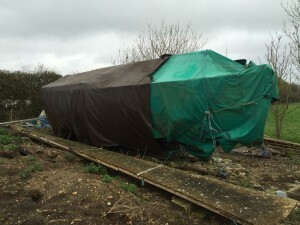 Luckily although outside she has been well sheeted in and the major structure has faired well although there is much shrinkage after all that time ashore. 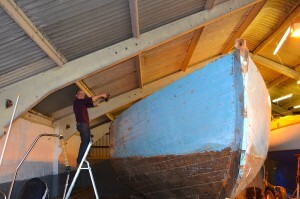 The first move was to get her to Weymouth and indoors where proper evaluation of the restoration task can begin. Simon Brown of deep3D has documented the laborious task of capturing Dolly as she was in painstaking detail so we have a detailed record of exactly what she looked like before the restoration process begins.